By default, sudo access for yum is enabled on the Anaconda Enteprise platform. You can easily disable it, however, if your organization requires it. 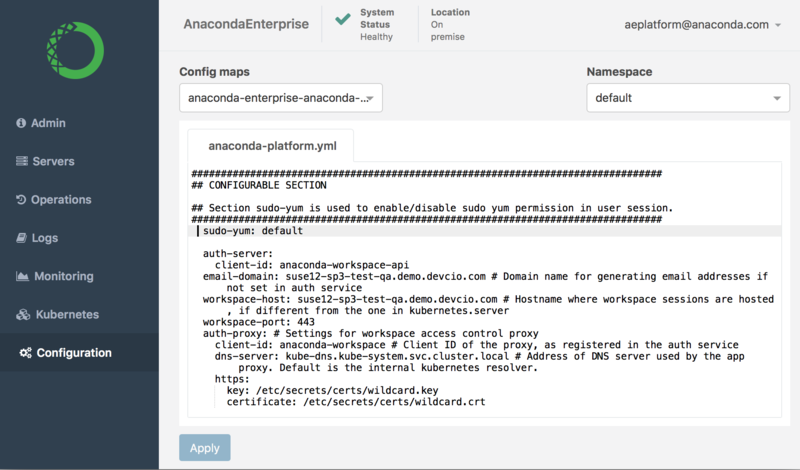 Verify that the anaconda-enterprise-anaconda-platform.yml configuration file is selected in the Config map drop-down menu. We recommend that you make a backup copy of this file since you will be editing it directly. To re-enable sudo yum, simply change this Config map setting back to default, save your changes, and restart services.